With my love of facial oils and my unrelenting search for the next best product to give me natural coverage, this purchase was a no brainer. 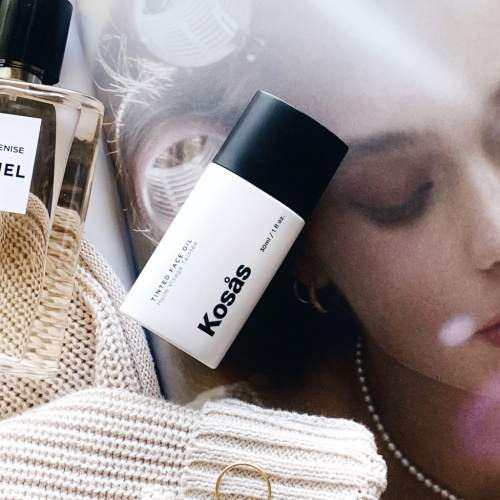 Kosas Tinted Face Oil is both a foundation and a skin elixir. Mineral pigments and oils mix to deliver light-to-medium coverage, blurring pores and imperfections while making skin tone appear more even. Formulated with Jojoba Seed Oil to soothe and balance, Avocado Oil to hydrate, Rosehip Oil to brighten and clarify, and Red Raspberry Seed Oil to tone and repair. The texture is very much like an oil. Even after shaking, it’s a little runny, but it’s wonderfully surprising with its coverage. It actually offers more coverage than my usual Laura Mercier Tinted Moisturizer, but still looks like natural skin. I did find that I needed to keep my skincare regimen simple when I planned to use it. One of the times I tried it on I had piled on too many skincare products and the product flaked off my skin. But when taking that into consideration, the oil goes on smoothly and quickly. I set it with my Hourglass Veil Traslucent Setting Powder to remove any excess dewiness and am very happy with how my complexion looks. I have applied with both my fingers and with a damp beauty blender, and both ways it works well although I think I prefer application with a beauty blender. I usually use three to five drops for light coverage, but you can build it up with a few more drops of product. So far, I’ve worn it mostly indoors, but can foresee that hotter summer temperatures may require some touch up. 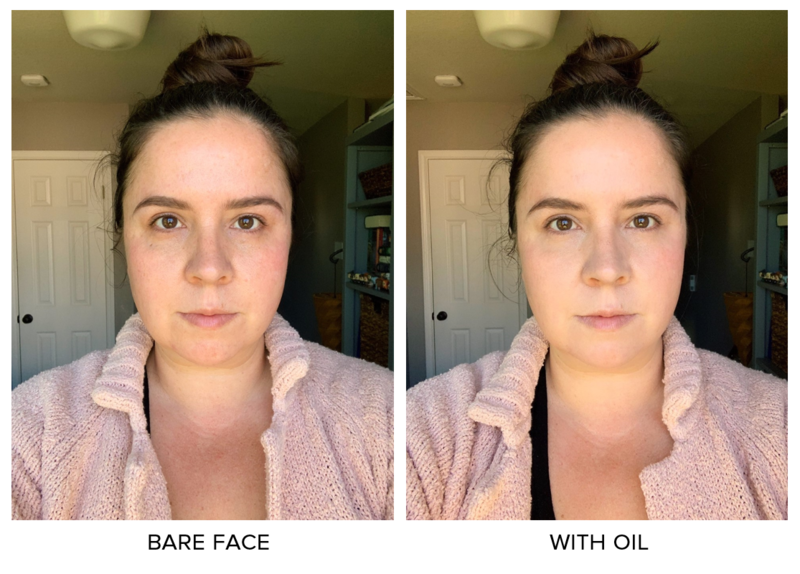 But all in all, this is a very nice product… very unique, pretty easily applied, and wonderfully natural while still touting just the right amount of coverage. 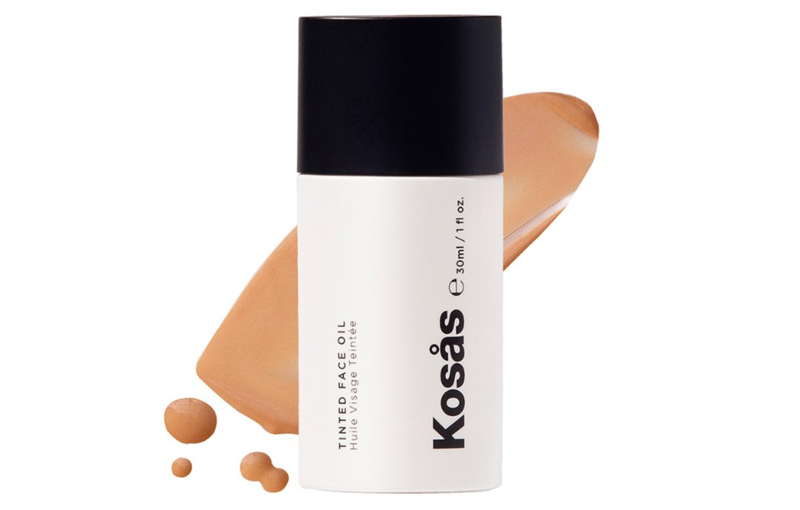 Kosas Tinted Face Oil is available in 10 shades and is priced at $42. 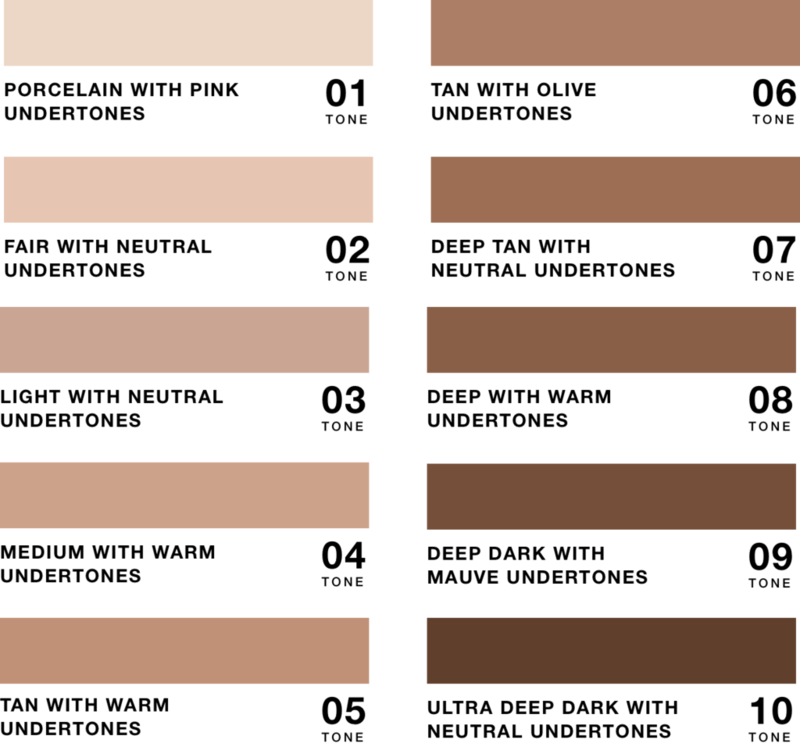 I wear Tone 03 – Light with Neutral Undertones, although it’s a little light. I wish there was a Light to Medium with Neutral Undertones. Maybe soon!